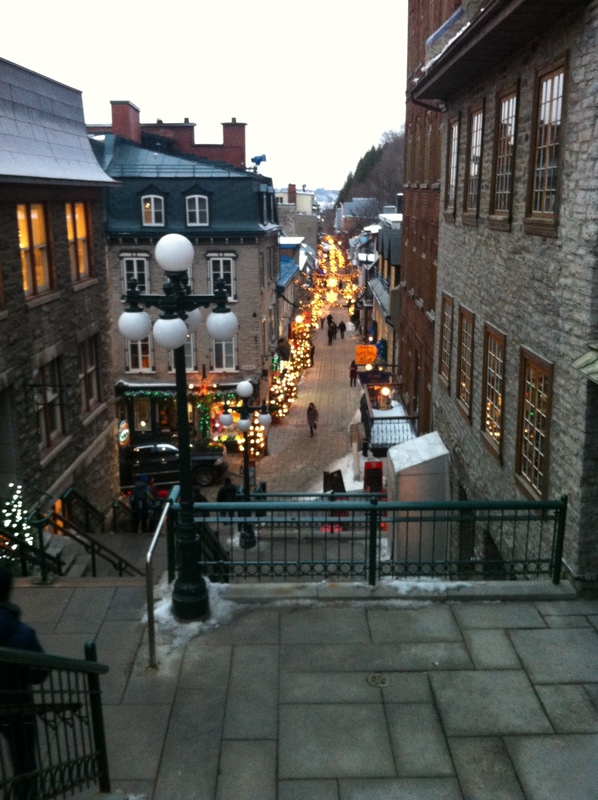 For those of you that don’t know Old Quebec City is Canada’s only walled city and is also the only walled city north of Mexico. It is over 400 years old and has managed to keep a lot of it’s charm. 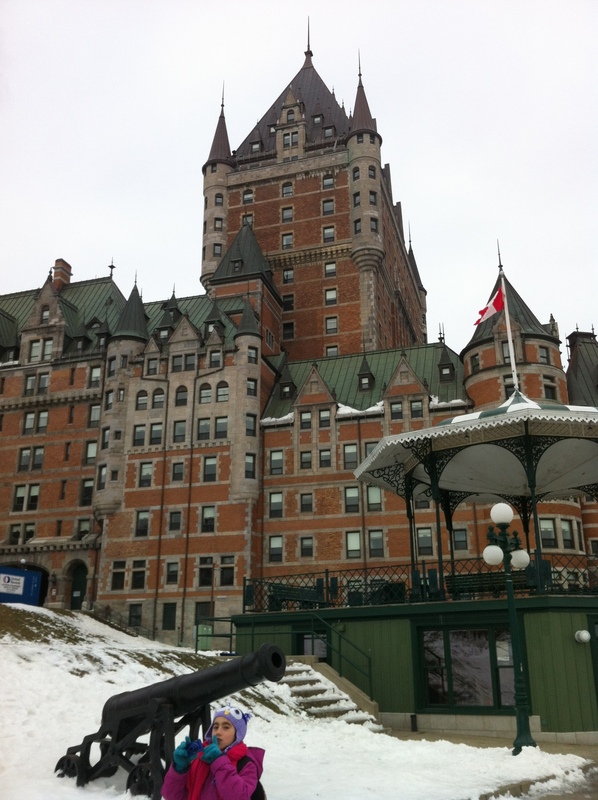 Beside our hotel is the tobogganing hill. It is 150 feet long and can get up to 70 km per hour. 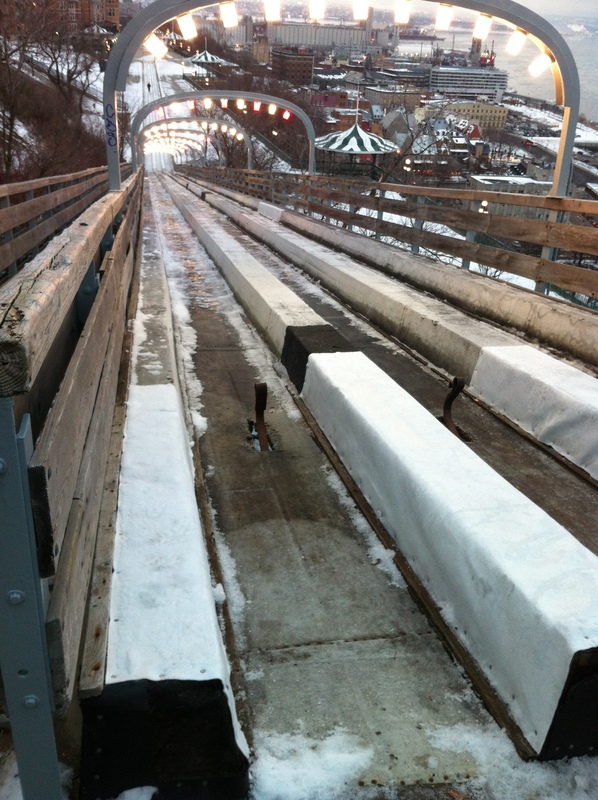 It was built in 1884 and is a winter staple here. The hill opened yesterday and Chris and Callum were the first riders of the season. Sofie and I tried it later that afternoon and it was a blast! Like I said our hotel is on the top of the hill. Going down into the city is easy, it’s getting back up that can be a challenge. Yesterday afternoon we took the stairs, all 200 of them. We smartened up that evening and took the long way around to avoid the stairs. My legs are so sore this morning from those darn stairs! 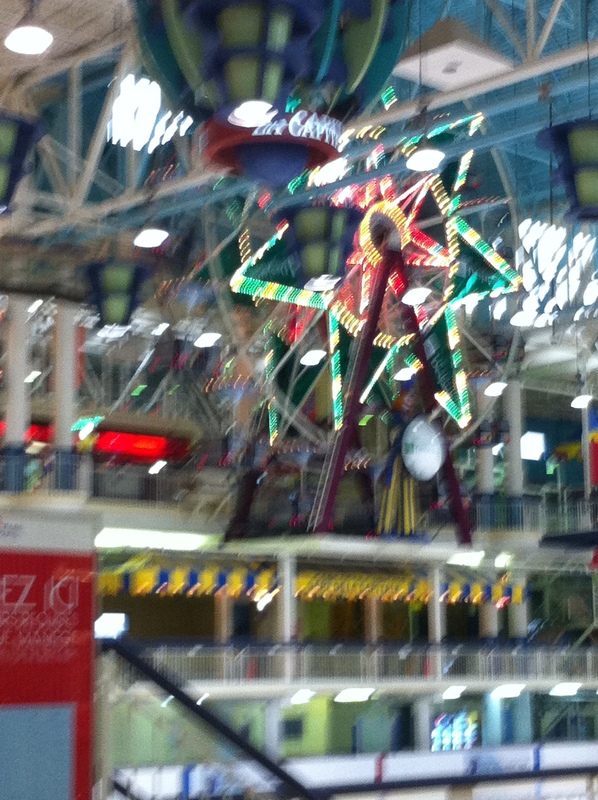 Today we went to the Mega Parc which is a giant mall with indoor skating rink and an amusement park. This kids were beyond excited! When we got back to the hotel we noticed a lot of security guards around the elevators. Turns out the Prime Minister of Canada was having a meeting at the hotel. We stuck around the lobby for a while to see if we could meet him. Sofie was very excited to shake his hand and take a picture with him. Callum couldn’t have cared less. 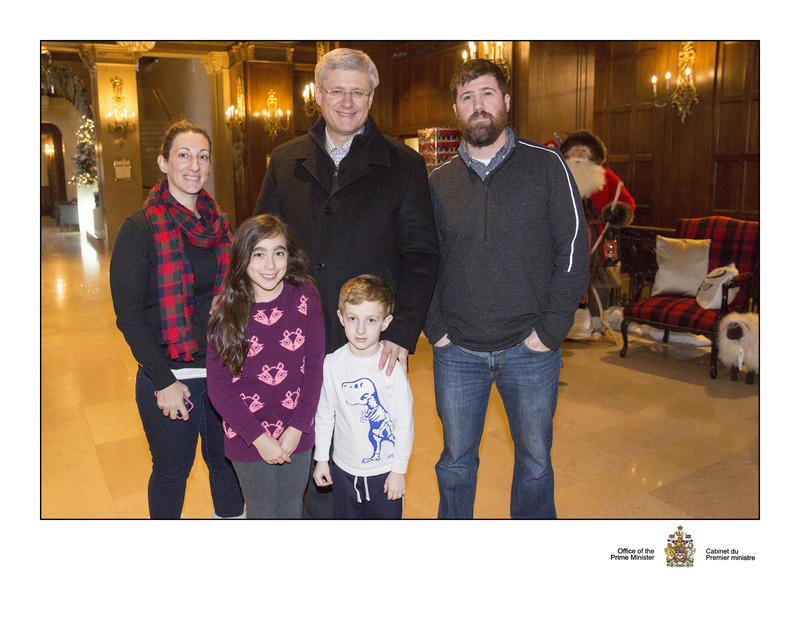 The Prime Minister was very nice and it was a great experience for the kids. The French have a reputation for being snooty and unwelcoming but that is the exact opposite of what we experienced here. Everyone was incredibly friendly and engaging. People on the streets tilted their hats and said hello. Shop keepers spoke to the children directly instead of talking to them through us, which is so common in Ontario. 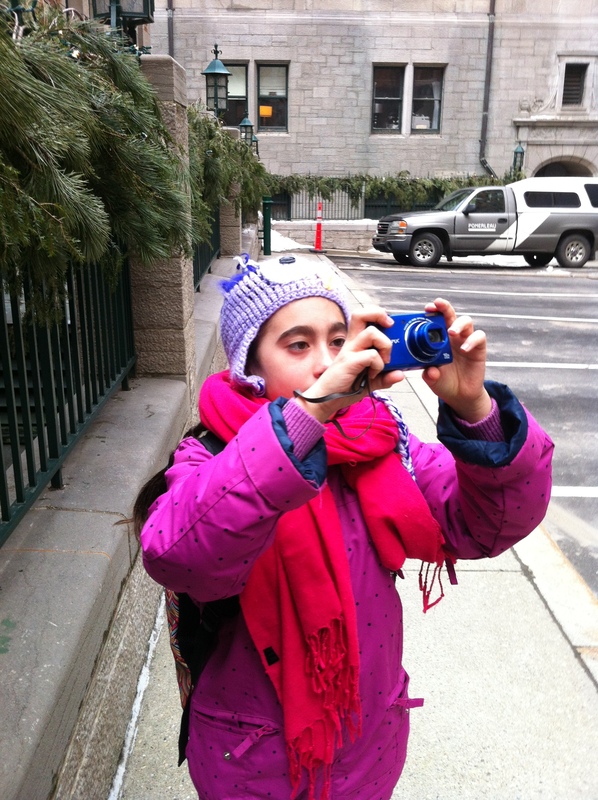 There was never a moment that we felt like unwelcome tourists. We felt at home immediately and are already planning a trip back here in the summer. Great shots with the PM! 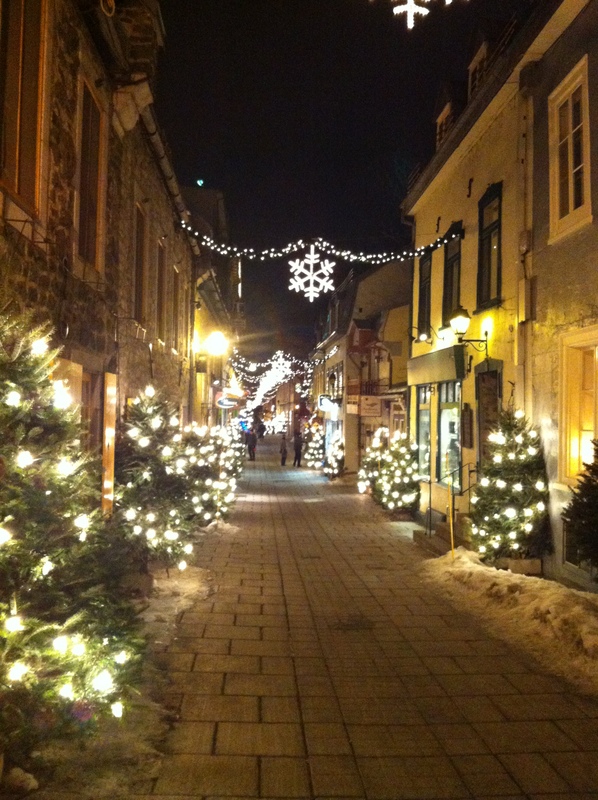 What an experience overall – Quebec City is beautiful!